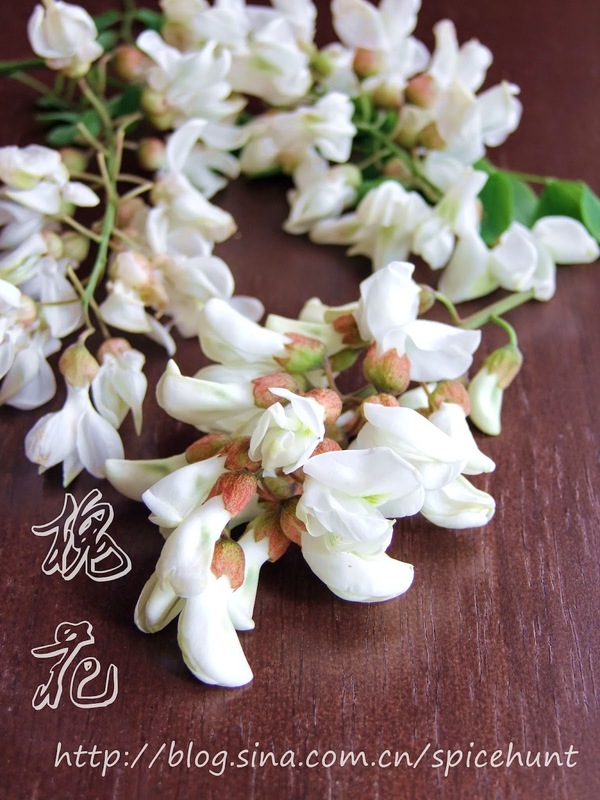 My friend LR whatsapp me last week asking if I know a edible flower called "Huai Hua" (槐花), a black locust blossom that is widely eaten in some part of China. He told me these blossoms are everywhere in this season near where I stayed and it could be eaten raw in salad or made into different kind of dishes. He also invited me to go pick some of these flowers from the nearby woods with him over the weekend. The thought of finding edible wild plants fascinate me, I immediately jump on the bandwagon and brought mom with me. We had so much fun enjoying the fragrance of flowers and the fresh air, we even ate the flower raw there, these blossoms smell a little like Jasmine and tasted sweet and crunchy. 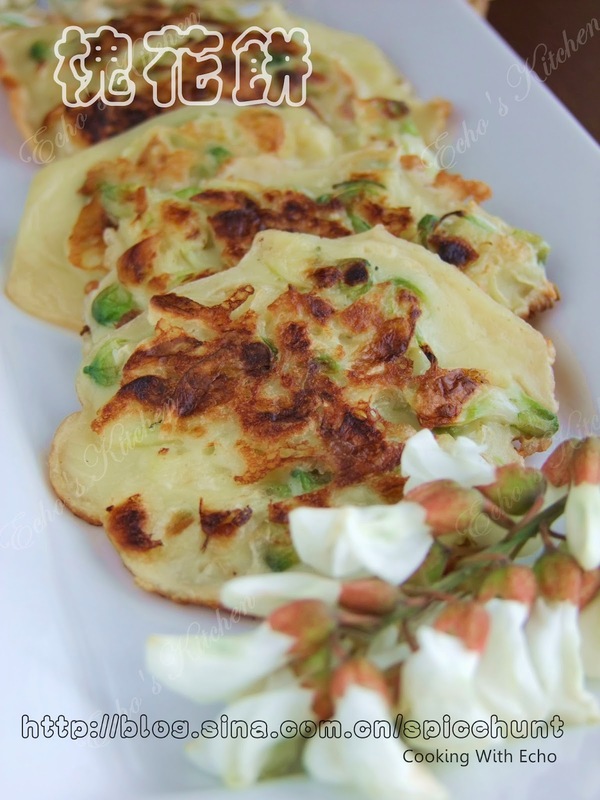 I made the flowers we collected into pancake today and it is tasting really yummy! Here is the portrait of these beautifully yummy flowers. Fishwort is probably one of the weirdest greens I have ever tasted, it is also called lizard's tail and bishop's weed, the smell of it is really awful to me, it is a cross between fishy and bloody smell. 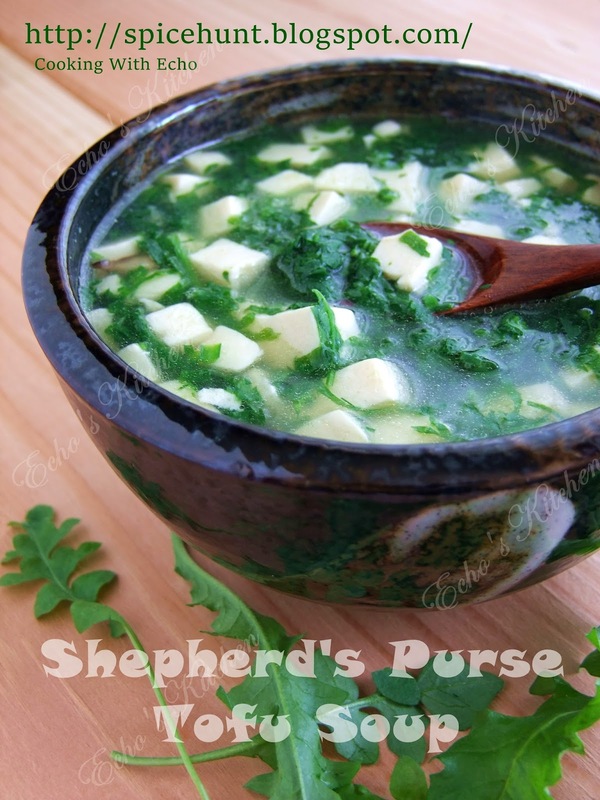 But many people swear by the taste and it has very good medicinal property-- it is said to kills bacteria and viruses while also serving to reduce fevers and inflammation, promote wellness of the eyes and stimulate menstruation as well as bladder and bowel functions. So it sounds like worth enduring the smell to consume, right? Beside, I was told that once you get passed the smell, you will fall in love with the taste! 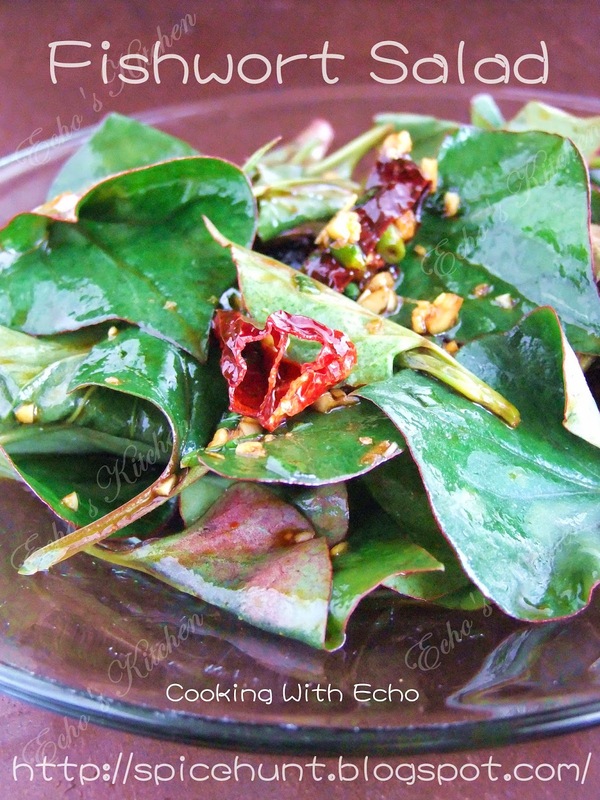 This salad green is not easily available in the market, in China it is the root that most people go after, it is suppose to taste even better than the leaves. I got my supply from a friend and decided to make this simple salad when we got home. To my surprise, mom and NS loves it! They split the whole bowl as brother and I could not get pass the second bite. N worked from home the past few weeks, so I had to think of what to make for lunch and dinner everyday beside preparing toddler food for little A. After about a week or so I started feeling tired and was out of ideas for what to cook. We ordered a few take outs and deliveries. When that happened more than thrice in a week, N started giving me that "I want some home-cook food" look. So I had no choice but to whipped up something simple tonight, there is nothing simpler than a simple egg curry for dinner, it could be done in literally less than 30 minutes and one can't really go wrong with a egg curry! I made Medu Vada (Deep Fried Lentil ball) two days ago, I did made extra so that I could make this Simple Chaat called Dahi Vada the next day as snacks for N.